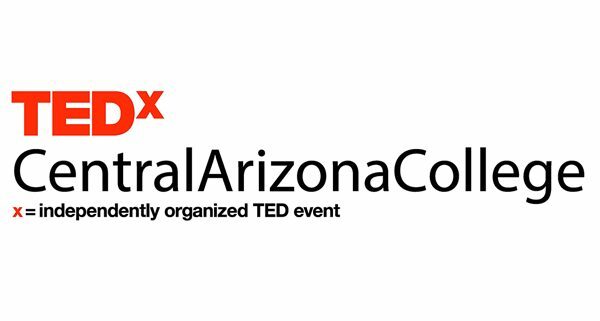 TEDxCentralArizonaCollege will occur on Thursday, April 18 from 4:00 – 7:00 p.m. at the Signal Peak Campus (Don P. Pence Center for Visual & Performing Arts, 8470 N. Overfield Road, Coolidge, AZ.) Seating is limited and tickets will go on sale March 27. Central Arizona College professors will present on various topics related to ‘shedding light on the unseen’ during the three-hour event. This event is open to community members and students. Seating is limited. Tickets are priced at $15 each and may be purchased online at www.eventsatcac.com. From road trips to family vacations, we drive all over Arizona with a destination in mind. However, along the way, we often don’t explore the hidden gems or discoveries along the way. This presentation opens the eyes of the audience to photographs and capturing the lesser known landmarks, structures, and sights of the Grand Canyon State. It is a common part of the human experience to determine what is true by using our past experiences as a filter and guide. However, what if that very impulse is contributing to the rise of “fake news?” What do we do then? This presentation will shed light on the role of attitudinal anchors in spreading “fake news” and how to combat it. Learn how to set your personal boundaries, identify negative people in your life, and identify your personal islands of stability. Why functional self-interest must be embraced as the new norm and moral value in American culture: how this new powerful socialization might replace love as a more rational orientation to facilitate sustainable racial relations. This talk will present the common-sense approaches consistently applied by successful students from here in Pinal County and around the U.S., such as attending, mindful encoding, routine and consistent rehearsal, and understanding the link between ability and effort. A new development in STEM is informed and compassionate engineering (ICE) model, where those who are economically disadvantaged are the customer and their voices drive the products developed by companies within which engineers are employed. It is important to start seeing the economically disadvantaged as the customers and learn from them what products would meet their needs. After all, who is to say that products for these customers would not meet the needs of more economically advantaged ones? “How the face of science is changing, one student at a time” What do you think of when you think of someone who is a “scientist”? White lab coat? Goggles? And usually … Caucasian and male. Why is that? This presentation will explore why this is changing with generation Z, and what is driving that change. The Liberal in Liberal Arts education is often mistaken to mean the opposite of conservative but in reality refers to the practice of freedom. As the United States contends with societal woes such as political divide and the rise of hate groups, our higher education system is in a unique position to prepare students with civil discourse abilities and critical thinking skills that not only prepare them for a job out of college but for a fulfilling life of civic engagement. TED is a nonprofit organization devoted to Ideas Worth Spreading, often in the form of short talks delivered by leading thinkers and doers. Many of these talks are given at TED conferences, including our annual gathering in Vancouver, as well as TEDWomen, intimate TED Salons, and thousands of independently organized TEDx events around the world. Videos of these talks are made available, free, on TED.com and other platforms including Apple Podcasts. TED’s open and free initiatives for spreading ideas include TED.com, where new TED Talk videos are posted daily; TEDx, which licenses thousands of individuals and groups to host local, self-organized TED-style events around the world; the TED Fellows program, which selects innovators from around the globe to amplify the impact of their remarkable projects and activities; the Audacious Project, which surfaces and funds critical ideas that have the potential to impact millions of lives; TEDSummit, which gathers the most engaged members of the global TED community for brainstorms, discussions, performances, workshops and an eclectic program of main stage talks; and the educational initiative TED-Ed. TED also has a library of original podcasts, including TED Talks Daily, The TED Interview with Chris Anderson, Sincerely, X, and one of Apple Podcasts’ most downloaded new shows of 2018, WorkLife with Adam Grant. Follow TED on Twitter at http://twitter.com/TEDTalks, on Facebook at http://www.facebook.com/TED, on Instagram at https://instagram.com/ted, and on Snapchat at tedtalkshq.